BEING a young free and single car enthusiast was great, wasn't it? You had your Friday and Saturday night parties, minimal responsibilities, endless disposable income and a shiny blue Subaru WRX STI on the driveway for your driving thrills. But uh-oh. You got married, bought a house, had kids. The STI is long gone isn't it, never to return. Hang on though. Help is at hand in the shape of a brand new Subaru offering. Its name may sound like a planet from Star Wars - Levorg - but this sports wagon could help you rediscover your rally hero aspirations with all-wheel-drive and an eager turbo boxer motor, all the while carting the kids around in comfort and safety with room to spare. Levorg taps the spirit of the 1990s Liberty RS Turbo and fourth-gen Liberty GT wagon, but is very much a modern WRX-based versatile wagon aimed at the active family. A reborn sports wagon then for the SUV rejectors. 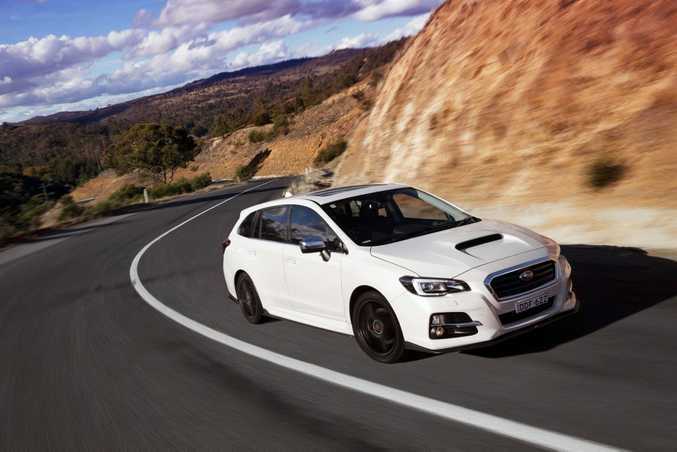 Buyers want fun, a sharp ride and great handling, and the WRX's 2.0-litre turbo and chassis meet that brief. It's priced in mid-size SUV territory (from $42,990), is practical without being huge, strong on active safety gear and Subaru says ride comfort is more Liberty than WRX. So how do you like your Levorg? There are three options all with the same engine and CVT gearbox: GT, GT-S with Bilstein suspension for a firmer ride, and GT-S Spec B loaded with local fit STI goodies for the more Bad Dad style. 2016 Subaru Levorg GT-S Spec B. Photo: Contributed. 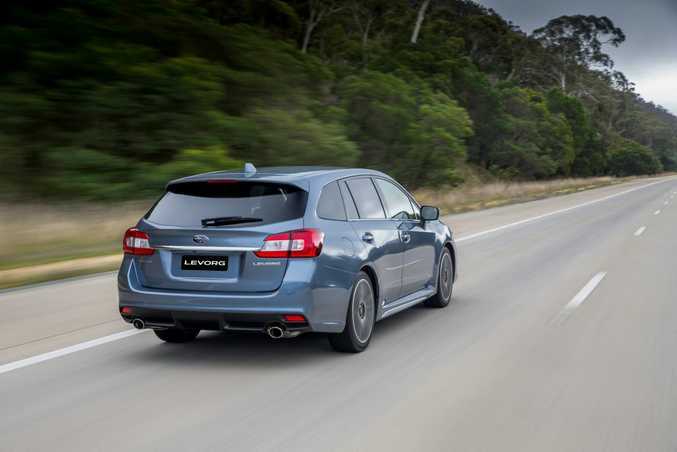 The Levorg's cabin will be familiar to WRX drivers, with soft plastics where it counts and semi-premium fit and finish. Seats are sink-into comfy but you sit very high in the cabin (which doesn't give a feel of sportiness), while the steering wheel is D-shaped and chunky with decent feel. Said wheel is busy - too busy - with buttons and switches, but it means the centre console is clean with a 6.2-inch touchscreen for the base GT and better 7-inch screen and sat nav for the GT-S and Spec B.
Cloth seats in the base GT are a tad ordinary so you need the GT-S cars for leather with sporty blue stitching. The latter are also heated with power adjustment for the driver. If the plan was a balance of performance and comfort Subaru has come up trumps. The WRX-sourced turbo 2.0-litre boxer engine is a talented thing that comes alive in the mid-range with wonderful pull. The Levorg isn't a truly fast car - it hits 100kmh in 6.6-seconds - but play in the higher rev range through some twisties and the four-cylinder is brilliantly responsive for great driving thrills, matched to a CVT auto which, while I'd prefer a stock auto or (heaven forbid) a manual, is smooth and among the finest CVTs I've used. The chassis too delivers poise, balance and great grip with decent feedback to the driver. It feels playful rather than all-out sharp courtesy of a softer suspension tune to hit the family car remit. The GT-S and Spec B models' Bilstein suspension firms things up making them a bit crashier over poor surfaces, but the GT is talented enough so take your pick for what suits your preference. I'd be keen on a bit more noise from the exhaust, a lower driving position (although you get a great view of the bonnet scoop from up high) and while cruising is a comfy delight, tyre noise is a bit invasive. Entry level Levorgs score a 6.2-inch touch screen, bluetooth, dual zone climate, cruise control, reverse camera, smart key, push button start, 18-inch alloys and third-gen EyeSight driver assist system. The latter will be a key selling point to families favouring active safety in their cars, as this standard driver assistance tech has telling statistics to prove its effectiveness at preventing accidents due to its advanced two-camera road monitoring. The 2.0GT-S adds further safety kit like blind spot detection, lane change assist and rear cross traffic alert, while you score sportier Bilstein suspension, leather trim, electric sunroof, heated seats (power for driver), a 7-inch touch screen, sat nav and Siri + Pandora compatibility for your extra $6k, but no Apple CarPlay or Android Auto. 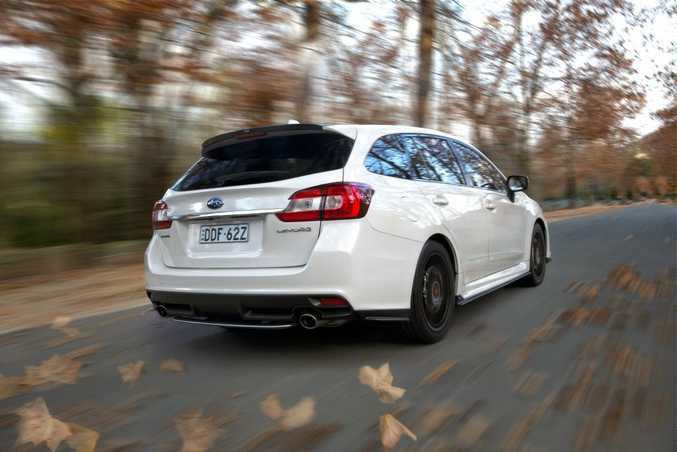 The range-topping Spec B for a further $4k has the local fit options, comprising all your STI goodies like front, side roof and rear spoilers, black alloys, shift knob, front tower bar and red push button start. Wagons often trump SUVs for load space and the Levorg gives 522-litres seats up...more than Subaru's own Outback large SUV. That said Skoda, the masters of boot space, give 588-litres in its Octavia RS rival. Rear seating space is family friendly for a couple of child seats, three older kids or adults (at a squeeze) with good head room and fine leg room. 2016 Subaru Levorg range. Photo: Contributed. Skoda's excellent Octavia RS Wagon ($39,090) is most obvious rival, while the Renault Megane GT220 Wagon ($38,500) is an eye-catcher. It'll also be up against a glut of AWD SUVs, albeit not many performance offerings for this money, and while the VW Golf R Wagon is no longer for sale, how about a giant family wagon - the 4x4 Skoda Superb 206TSI ($52,690) - which uses the Golf R motor and is roomier and quicker than the Levorg? Attractive without being ground breaking, the Levorg's mighty bonnet scoop air intake is its standout sporty feature. For more visual clout option the bright pearl leather cabin, or drop an extra $4k on the Spec B model to relive your STI youth. 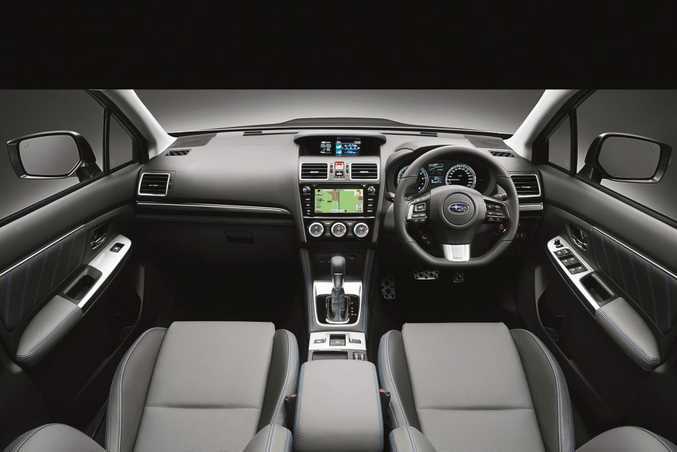 Subaru isn't expecting huge Levorg sales, but it's an appealing offering to the SUV avoiders with all the space, comfort and safety an active family could want. 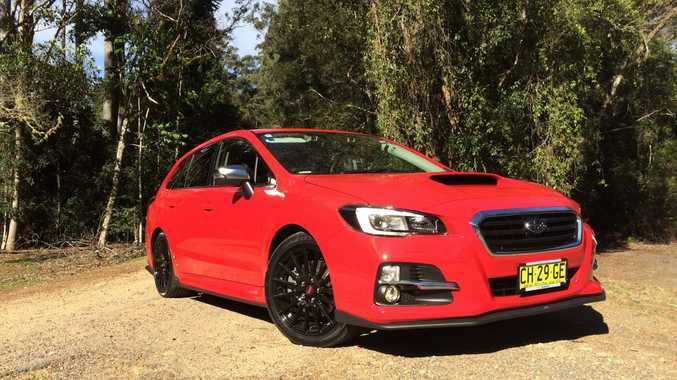 With the WRX's superb engine and chassis there for playtime it is as sporting as it looks, but is up against some quality rivals at this price point. 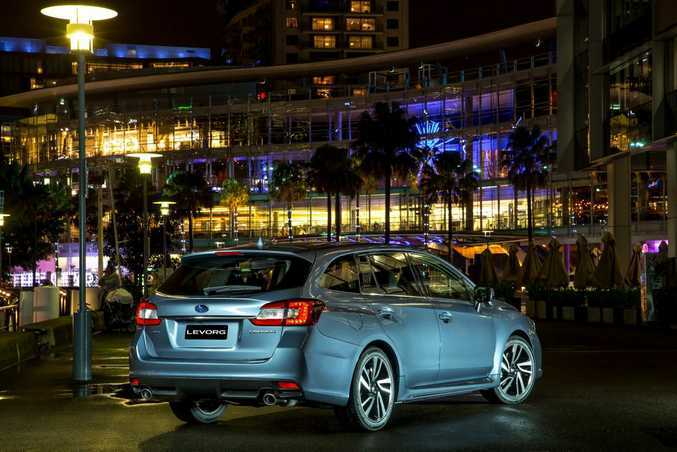 2016 Subaru Levorg GT Photo: Contributed. 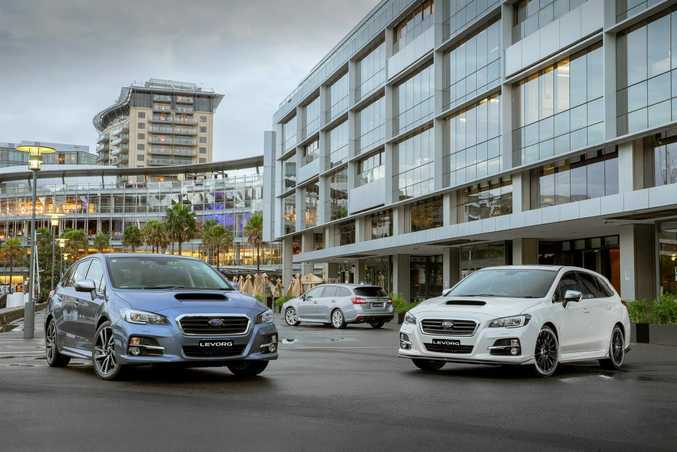 Model: Subaru Levorg 2.0GT, 2.0GT-S and 2.0GT-S Spec B. 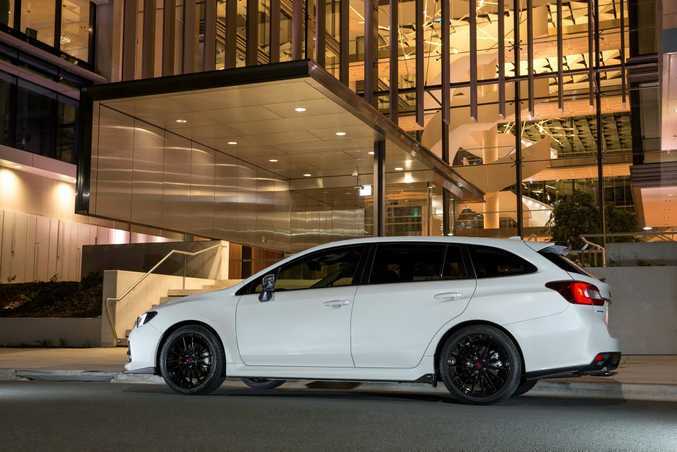 Details: Five-door, all-wheel-drive performance wagon. Engine: 2.0-litre turbocharged four-cylinder boxer generating maximum power of 197kW @ 5600rpm and peak torque of 350Nm from 2400rpm. 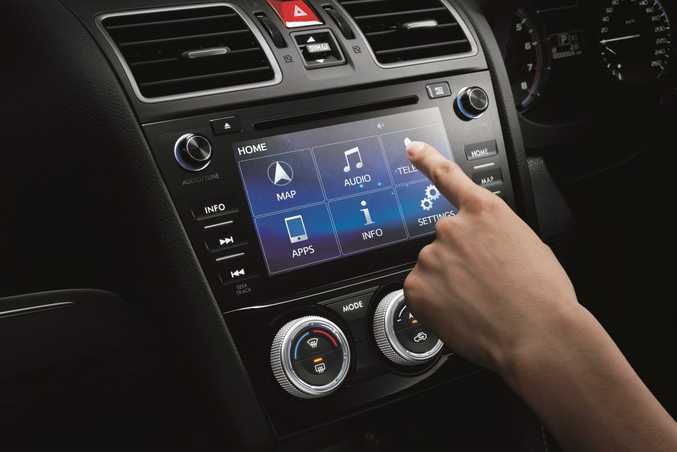 Transmission: Sport Lineartronic CVT auto with paddle shifters. Bottom line plus on-roads: $42,990 (2.0GT); $48,890 (2.0GT-S); $52,890 (2.0GT-S Spec B). 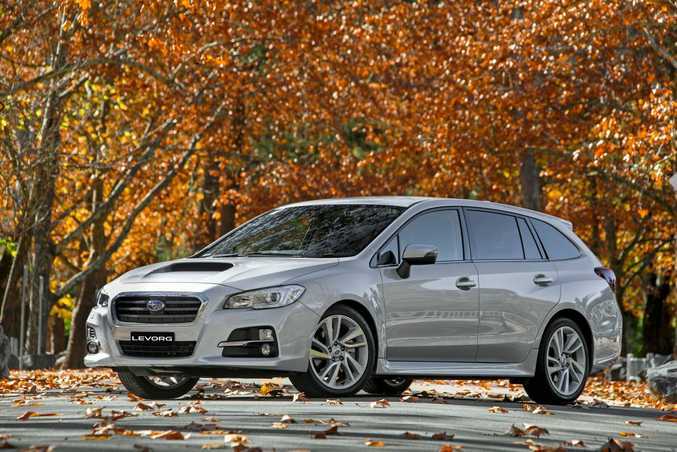 2016 Subaru Levorg GT-S. Photo: Contributed. 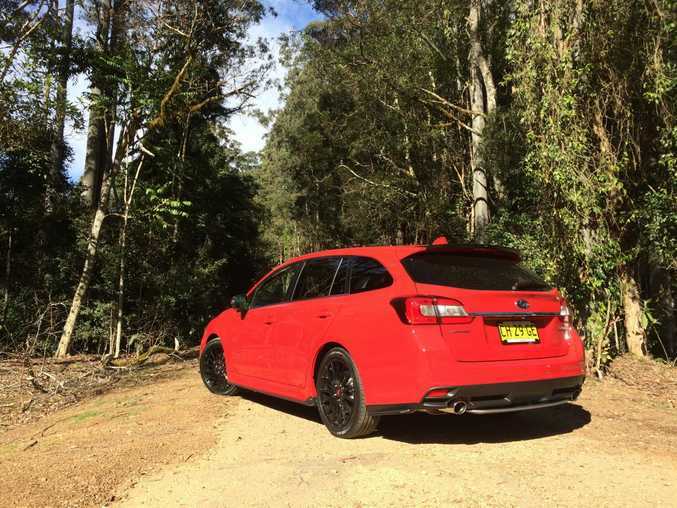 What we liked: Tried and tested brilliant WRX engine and AWD system, good balance between fun, performance and practicality, EyeSight driver assist safety as standard for the range, decent CVT auto. What we'd like to see: Less road noise from the tyres, lower seat position (unless you love an SUV high ride), fruitier exhaust note, Apple CarPlay and Android Auto needed, manual option would be nice. Warranty and servicing: Three year/unlimited kilometre warranty. 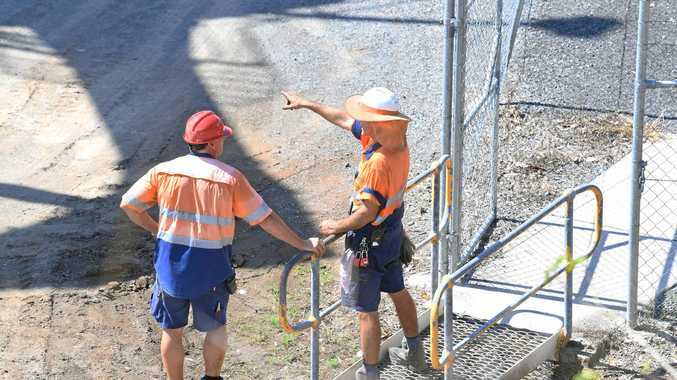 Service intervals are every six months.